Fiction. Five stories--several as long as novellas--introduce the world to Jen George, a writer whose furiously imaginative new voice calls to mind Donald Barthelme and Leonora Carrington no less than Kathy Acker and Chris Kraus. In "Guidance/The Party," an ethereal alcoholic "Guide" in robes and flowing hair appears to help a thirty- three-year-old woman prepare a party for her belated adulthood; "Take Care of Me Forever" tragically lambasts the medical profession as a ship of fools afloat in loneliness and narcissism; "Instruction" chronicles a season in an unconventional art school called The Warehouse, where students divide their time between orgies, art critiques, and burying dead racehorses. 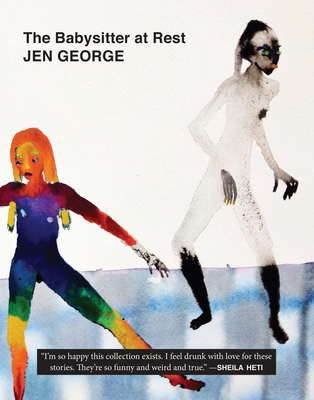 Combining slapstick, surrealism, erotica, and social criticism, Jen George's sprawling creative energy belies the secret precision and unexpected tenderness of everything she writes.